With 6.0.0, digiKam project has already left the KIPI plugins support and embedded all tools as native solutions without easly permitting to customize and extend the application. digiKam 5.9.0 was the last version supporting KIPI after more than 15 years, and less and less support outside of the digiKam project. 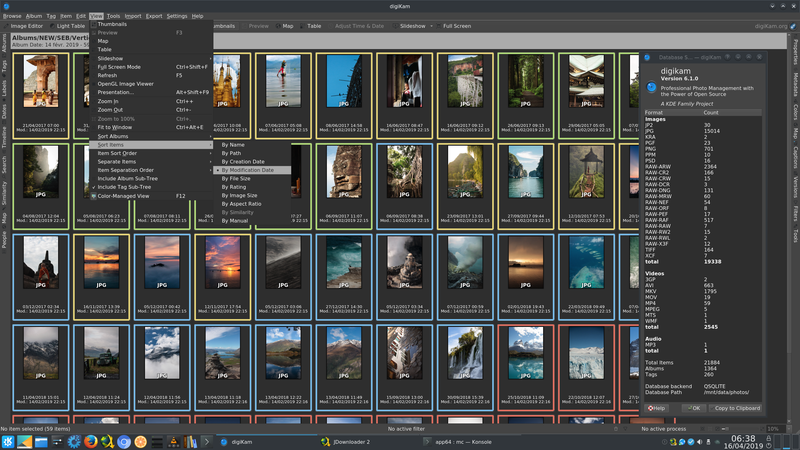 It’s time to turn the page now and to reload the story with a new plugin interface more powerful, more adjusted to all digiKam main tools, with an extended support to Showfoto, and without losing legacy features. Don’t be afraid, you will loose nothing and gain more power with this new plugins interface, named “DPlugins” for… “digiKam Plugins” of course. Where the KIPI tools were limited to the Main Album View in digiKam, DPlugins can be used everywhere, e.g. in Image Editor, Light Table, Showfoto, and of course the Album View. 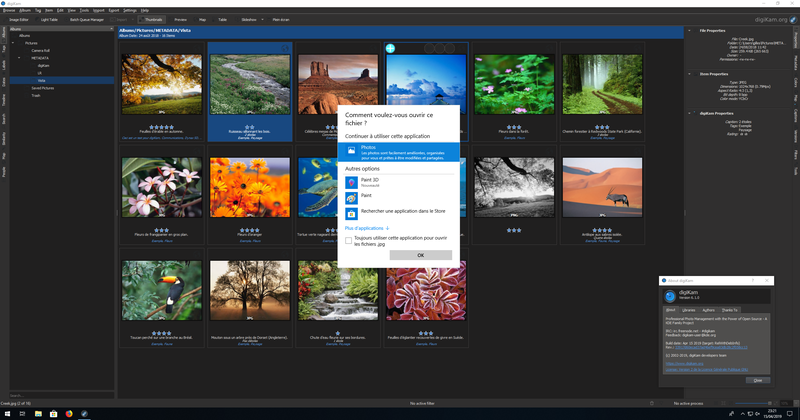 This include all Generic tools to import/export items or edit metadata, but wait a minute… more than that also Image Editor re-touch tools (colors editing, Transforms, Decorate, Effects, etc. 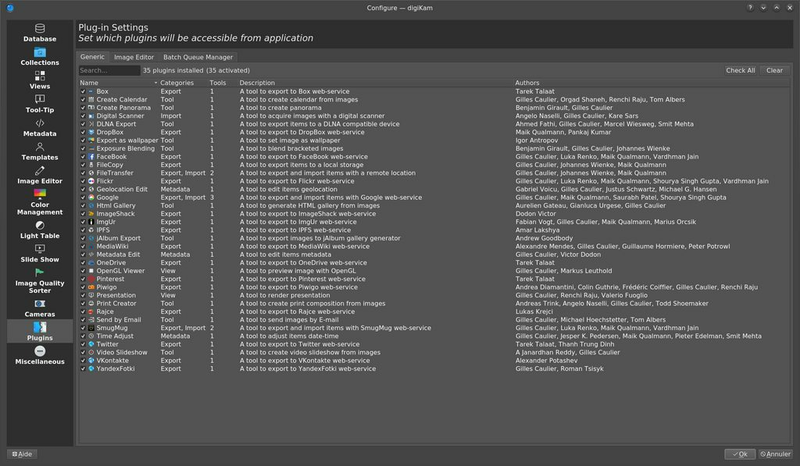 ), and wait a second… still more Batch Queue Manager tools to process many files at once. Now you will get a feeling of the huge difference to the older KIPI solution: digiKam becomes really open and extensible as it must do since a very long time, where KIPI never achieve this task. 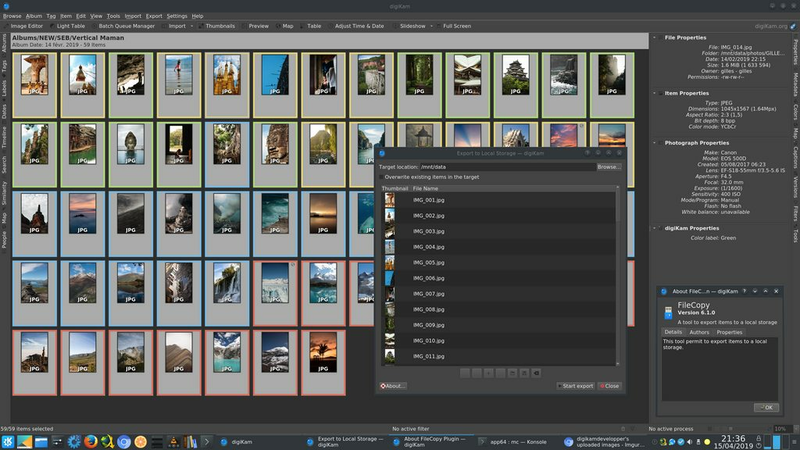 Image Editor plugins: 43 tools. Batch Queue Manager plugins: 38 tools. 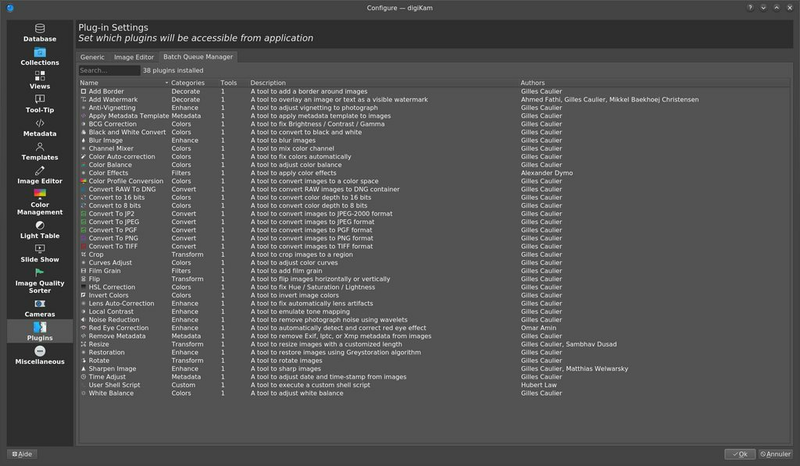 As you can see in these screenshots, the Generic and Image Editor plugins can be enabled or disabled during application sessions. This permits you to optimize and customize your digiKam or Showfoto as you want. Batch Queue Manager plugins are not yet configurable in this way, but it’s just a question of time. 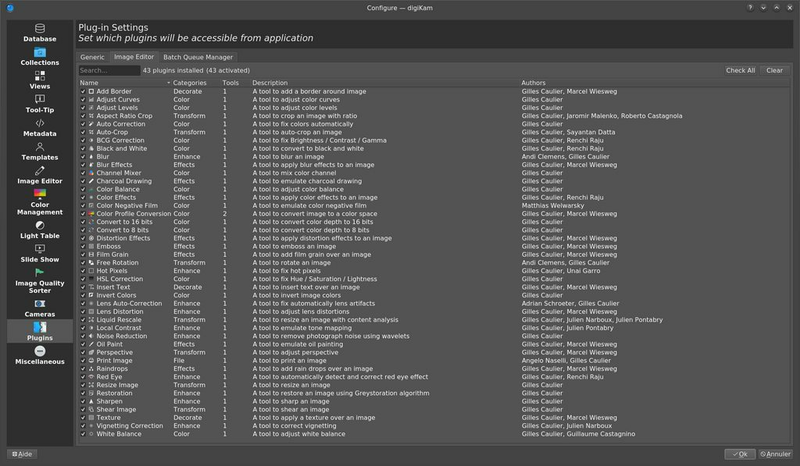 As said previously, DPlugins are shared also between digiKam and Showfoto, the stand alone version of digiKam image editor which do not support the digiKam database. 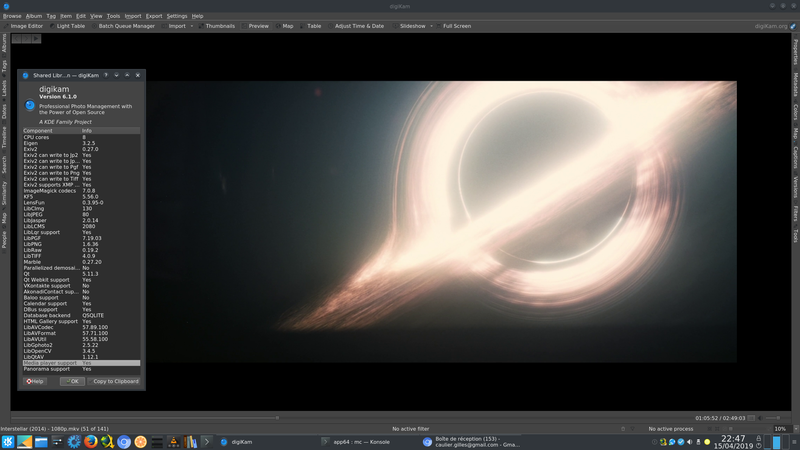 For example, see below on the left side the famous Metadata Editor plugin in action from Showfoto application, and on the right side the Showfoto DPlugins configuration tab from setup dialog. The DPlugins API is already available for external contributions, e.g. for the students that will work with us during this summer. This will permit to extend digiKam without touching the core implementation and organize the changes only in dynamically loading tools. DPlugins is a safe approach to increase features without loosing stability. DPlugins is based only on pure Qt API for a better portability and maintainability. In the future, we plan to extend DPlugins to others parts of digiKam, as Image loaders, Camera operations, Database, Face Management, Maintenance, etc. This will take a while and it will done step by step in the next 6.x releases. Note that we don’t plan to share this plugins interface with other external applications, as they depend too much on digiKam core API. This would require to export all digiKam core implementations as shared libraries, and that is entirely out of scope so far for the project. A plugin to copy items to a local storage. This tool is a first step to drop the old tool based on KIO and used to transfer items to remote storage. As KIO is not portable and cannot be bundled, we need a pure Qt alternative to help users to transfer items outside the collections. The new plugin written by Maik Qualmann starts with a simple operation to copy/move files on your computer. Currently, only local file systems are supported, but we plan to add FTP and SSH protocols. A future integration to the Batch Queue Manager is also targeted later this summer. A plugin to set image as Linux desktop wallpaper. This tool proposed as an exercise to a possible GSoC 2019 student named Igor Antropov will help you to setup a photo as desktop wallpaper. Currently only Plasma desktop is supported, but we plan to extend this tool to other X11 based Linux desktop, MacOS, and Windows. We have already prototyped some code in this way, and the tool will be improved step by step in the next releases before this summer. Embedded Media Player has received a few improvements like a new button to adjust sound volume while playing. Also, another button was added on the bottom right to turn on a loop function for the current playlist. Font properties for comments in the Slideshow tool can be changed, like the font size and the font family. Also the comments can be now faded in and out with the F4 key while running the slideshow. The Windows version includes now the famous “Open with” option already present under Linux, to launch your prefered application with your items. Some prototype of code for MacOS will be also introduced and tested later in the next releases. The Album Icon-View includes now the capability to sort items by the file system Modification Dates registered in database. AppImage Bundles are very popular to test quickly the stable application, and the pre-version releases. So, we have improved again the packaging scripts to support more Linux hosts, and to apply plenty of patches against generic problems at run-time. Qt version used to build whole source codes have been updated from 5.9.7 to 5.11.3. The next step will be to switch to last Qt 5.12.3 LTS and to use QtWebEngine instead QtWebKit, to render maps in geolocation view and to perform login stages with remote web services. Thanks to all users for your support, all contributors, all students, and testers who permit to improve this release. digiKam 6.1.0 source code tarball, Linux 32/64 bits AppImage bundles, MacOS package and Windows 32/64 bits installers can be downloaded from this repository. Rendez-vous in few months for the next 6.2.0 release and a presentation of students who will contribute to the project during the GSoC 2019 event.